Airwheel Malaysia is a distributor of eco-friendly self-balancing unicycles manufactured by Airwheel Technology based in the USA. The company is about to fund 1000MYR and 5 units of Airwheel unicycles for Victoria International College Rugby Final . Innovation has touched new heights and the markets have a range of products which offer simple yet efficient solutions to customers. Right from the big aircrafts to the smaller cycles, technology has transformed the way in which they solve the day to day needs. In an attempt to offer simplified and affordable travel solutions, the Airwheel has explored a new segment and gone ahead with manufacture of a wide range of unicycles. The company was established in the year 2013 and offers a range of eco-friendly as well as customer friendly products. Presently, the company has its R&D centers in L.A. in the USA and offers its products to over 20 different countries. 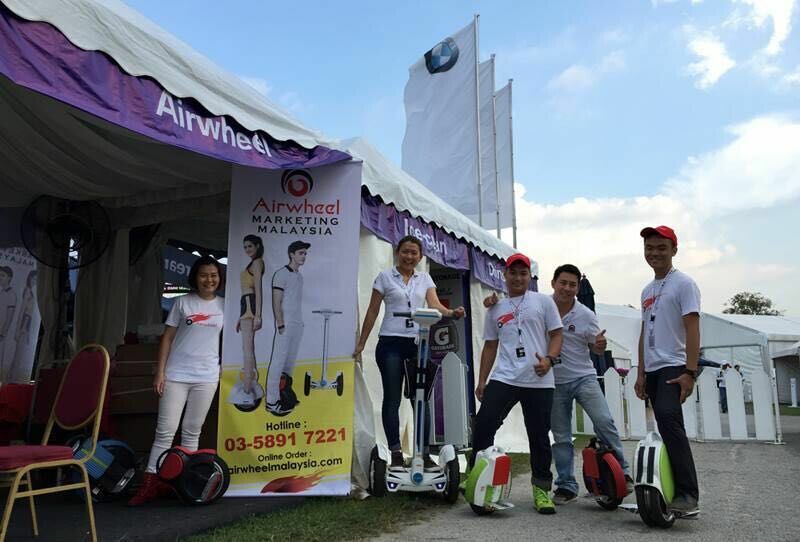 In an attempt to boost its sales and attract more buyers, the Airwheel's distributor in Malaysia has made the announcement that it would be sponsoring 1000MYR plus 5 Airwheel self-balancing unicycles for Victoria International College Rugby Final on 11th April 2015. Moreover, the Malaysia distributor intends to offer the X3, X5, X6, X8, Q1, Q3, Q5, Q6, S3, and S3T for display at the event. By sponsoring the event, the distributor intends to attract new buyers and target sports enthusiasts. Airwheel Malaysia distributor planned to fund this long-expected game, intending to provide five models of Airwheel's self-balancing unicycle as prizes for a lucky drawing. The company already has several similar products which include the electric self-balancing scooters namely, Q5, Q1, X3, S3, etc. The company intends to increase its presence and dominate a new sector which has fewer players currently. Leveraging upon its success with a range of hi-tech as well innovative models, self-balancing are slowly but steadily gaining popularity across the world. The company already has some of the best award winning electric unicycle models which is much advanced than any of the available options on the market. These models are capable of reaching 16km/h and comes with features like low battery protection and a lot of other safety features. For example, the Q-series comes with a tilting protection which is embedded in the wheel base. The technology is quite relevant in situations where the unit is tilted over 45 degrees on the sides. It offers a firm grip and control to the rider. The new models which the company wishes to launch in the Malaysian markets would come with advanced features such as mounted warning systems, control system which stops and prevents users from over-accelerating, etc. Customers can check the website of the company and know more about the products which the company has on offer. There are several retail outlets where customers may even test drive any of these products and learn more about the benefits which these could add to their daily lives.